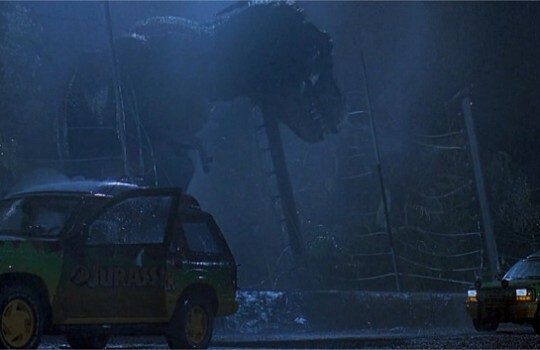 Eighteen years after Jaws, Steven Spielberg striked hard again in the horror genre with another classic: Jurassic Park. 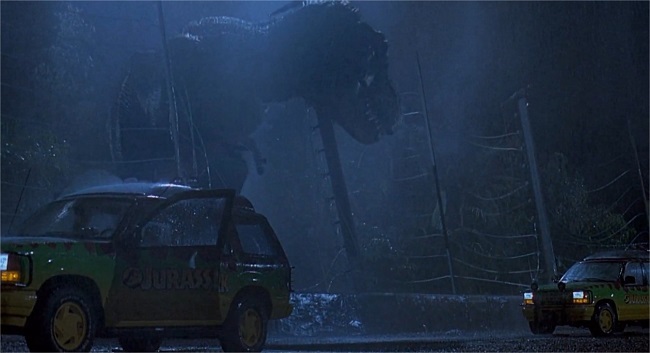 Perhaps it’s because I was only 9 and my mind had so far been left untouched by such shocking thrill and suspense but Jurassic Park made a profound impression on me. 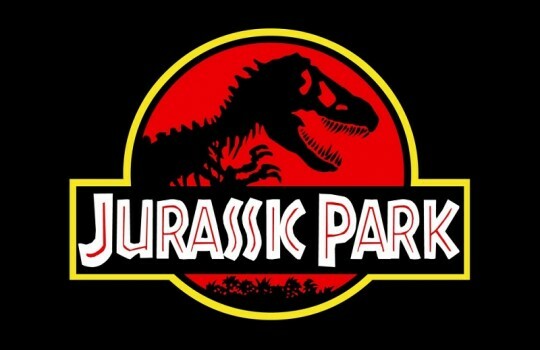 In this science-fiction masterpiece, a billionaire finds a way to re-create dinosaurs and plans to open a theme park. 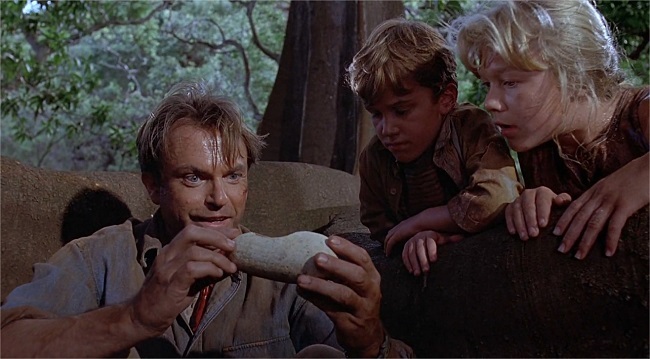 He organizes a preview tour with 3 paleontologists and his grandchildren but everything goes wrong when an employee shuts down the critical security systems to steal dinosaur embryos. 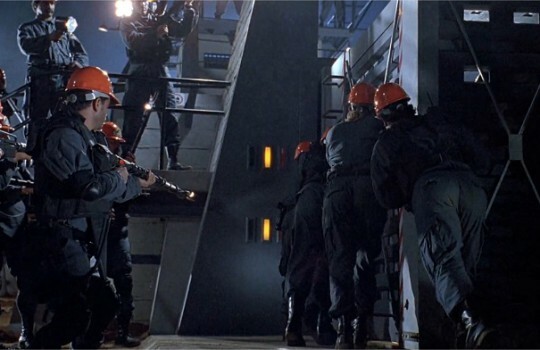 This premise leads to a riveting flick that hasn’t aged a bit and set the standards for a generation of thrillers. 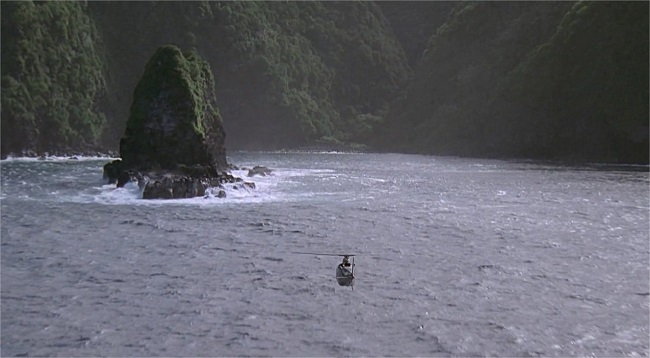 Most of Jurassic Park filming locations were in Hawaii and more specifically on Kauai, reputed to be the most beautiful of the four major Hawaiian islands. 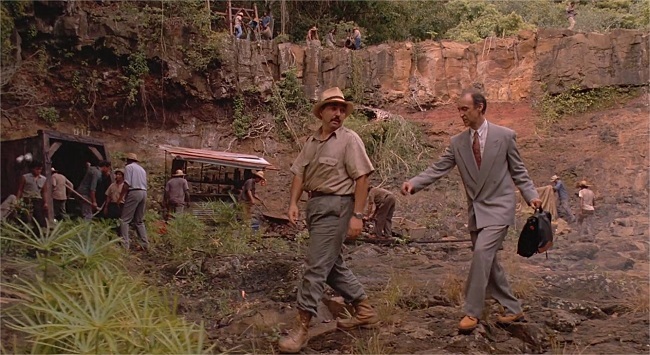 On screen, Jurassic Park’s plot takes us through Montana’s Badlands, Dominican Republic, Costa Rica and, of course, Isla Nubar, Jurassic Park’s island. 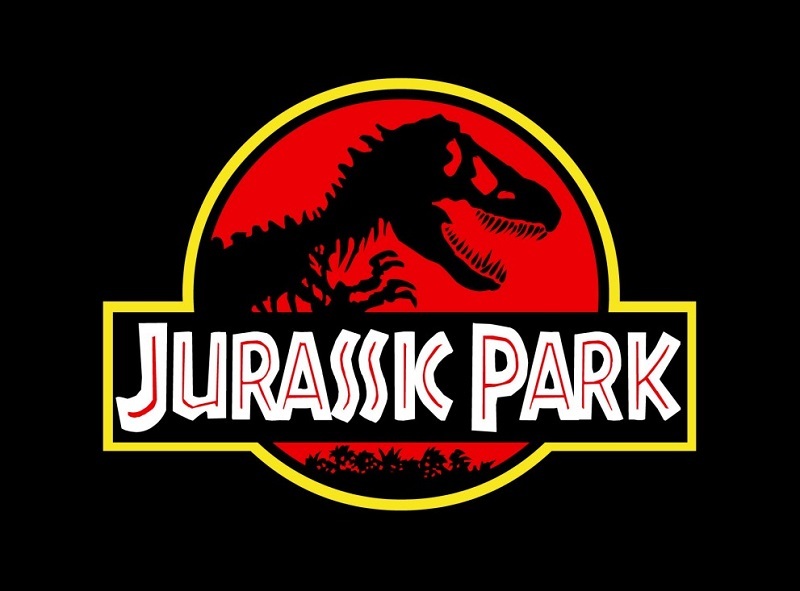 Read below to discover all the filming locations of Jurassic Park. Looking for more trips inspired by movies or books? Check out this page for more LegendaryTrips! 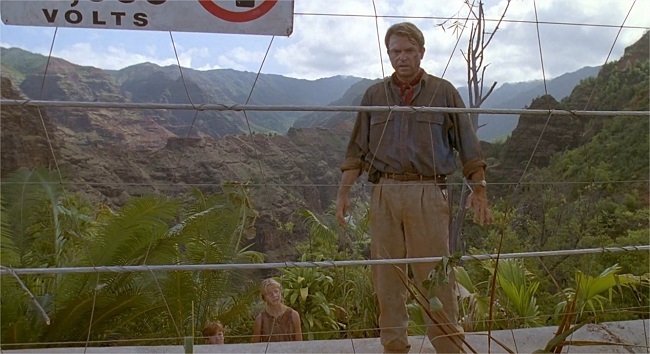 The terrifying prologue scene where a mysterious Tyrannosaurus rex is being released into Jurassic Park, not without snapping up an employee in the process, was filmed in Limahuli Garden in Hanalei on Kauai island. The garden is part of the National Tropical Botanical Garden and can be visited. 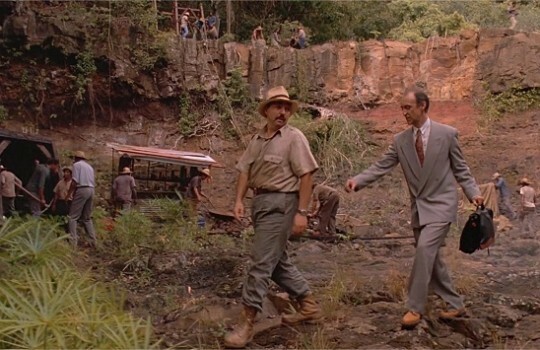 The Mano de Dios amber mine in Dominican Republic that Hammond's lawyer visits at the beginning of the movie was actually located on the eastern side of Kauai island in Hawaii, on the Kapaa Stream alongside Hoopii Falls. 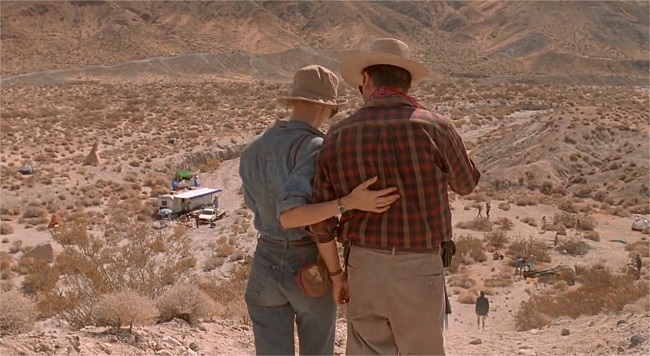 The digging scenes in the fictional town of Snakewater in Montana's Badlands where we meet for the first time the couple of paleontologists formed by Dr. Alan Grant (Sam Neill) and Dr. Ellie Sattler (Laura Dern) were filmed in Red Rock Canyon near Ridgecrest in California's Mojave Desert. 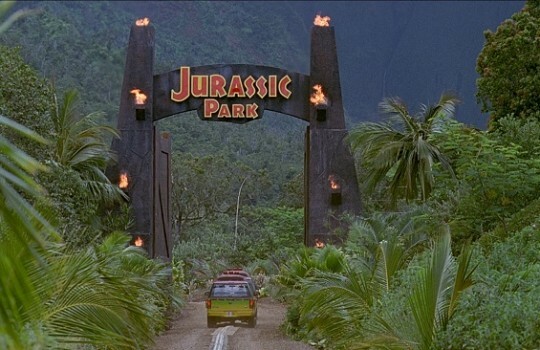 Besides Universal Studios in North Hollywood, it is the only one of Jurassic Park filming locations outside of Hawaii. 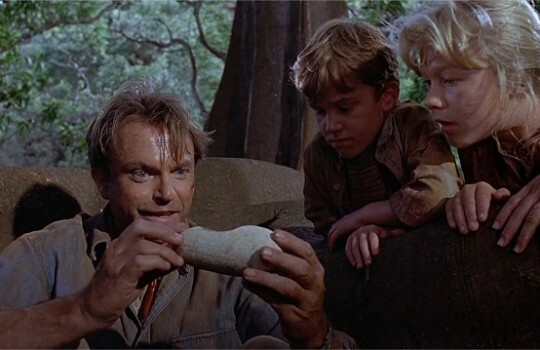 Dr. Alan Grant: "A six-inch retractable claw, like a razor, on the the middle toe. He doesn't bother to bite your jugular like a lion, say... no no. He slashes at you here, or here... Or maybe across the belly, spilling your intestines. 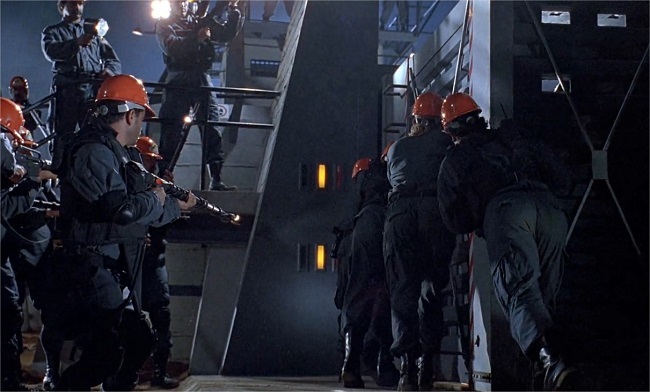 The point is, you are alive when they start to eat you. So you know, try to show a little respect." 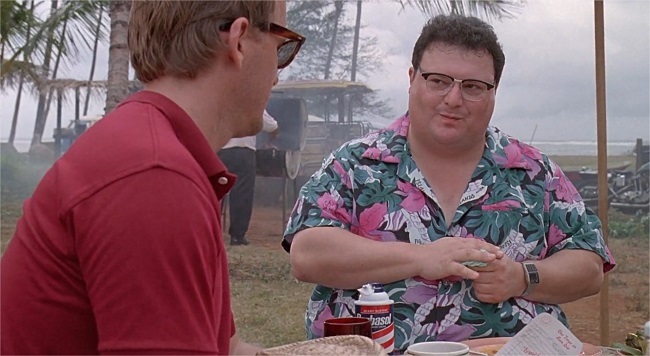 The location of the outdoor cafe in San Jose (Costa Rica) where Dennis Nedry trades Jurassic Park's science secrets was also on Kauai, on the waterfront near Kuhio Highway near Kapaa. 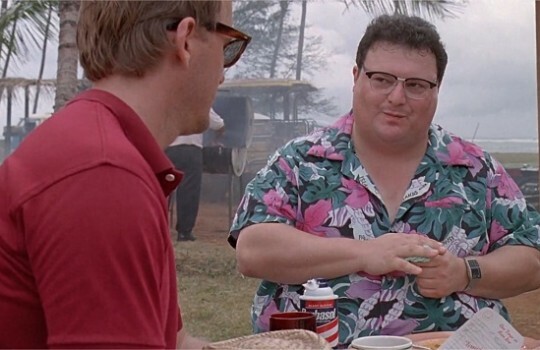 Of course, you will have recognized Seinfeld's superstar Wayne Knight (Newman) in the role of Dennis Nedry. 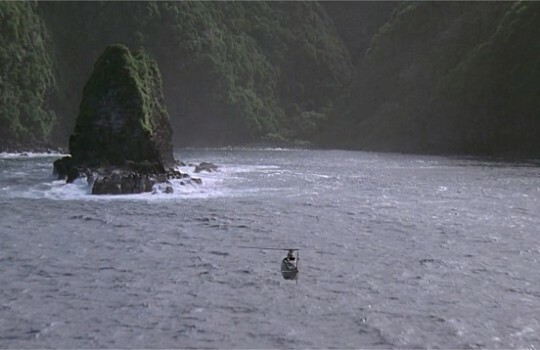 The first glimpses of Hammond's fictional island, 'Isla Nublar', suposedly located a few miles off the coast of Costa Rica, were actually Na Pali Coast on Kauai island in Hawaii. 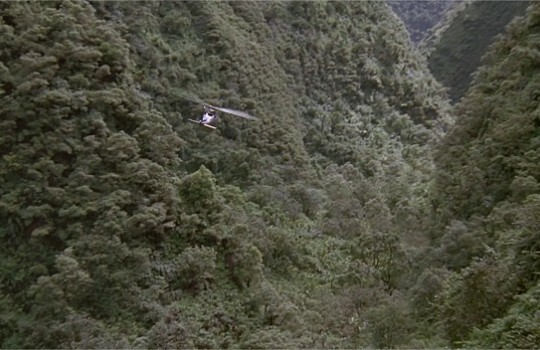 Transporting Hammond and his newly recruited crew of top-notch paleontologists (including Dr. Ian Malcolm played by Jeff Goldblum), the helicopter goes through Hanapepe Valley on Kauai. They are helicopter tours that can take you to this beautiful location. 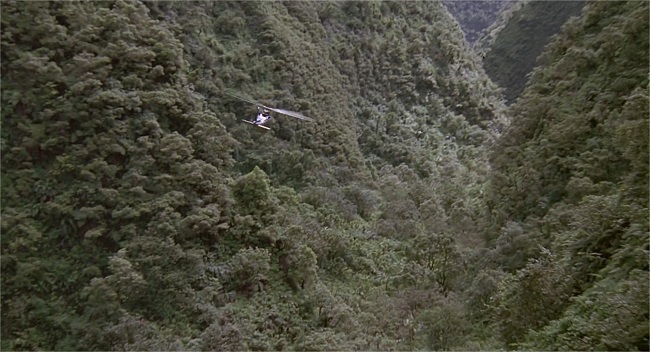 On the way you will see the Manawaiopuna Falls that are also featured in Jurassic Park. 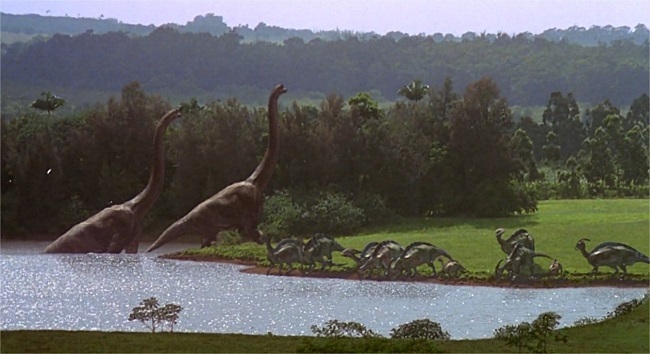 The first encounter of the main characters with actual dinosaurs on Isla Nubar is a peaceful one: the new arrivals meet Brachiosauruses by a lagoon that is actually Puu Ka Ele Reservoir on the Jurassic Kahili Ranch near Kilauea. 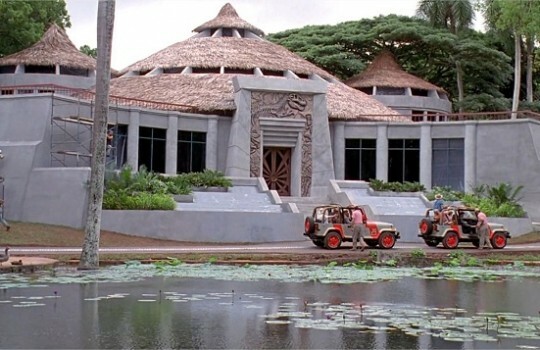 Jurassic Park's visitor center exterior scenes were filmed at the Valley House Plantation Estate in Kealia. 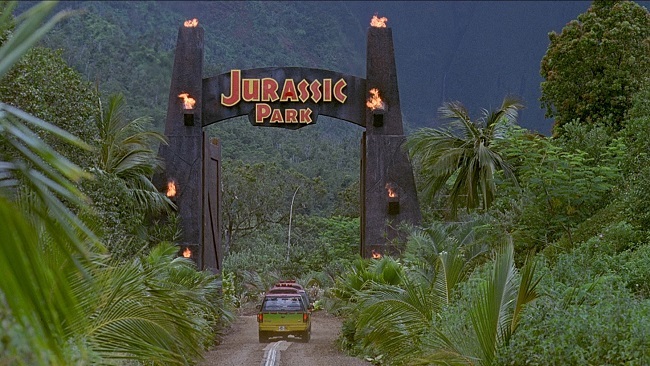 Likely the most legendary of Jurassic Park filming locations, the Jurassic Park massive entry gates were erected at the base of Mount Wai’ale’ale, deep in the centre of Kauai. The gates have been removed since then but there are still two poles standing that you may want to tick off your list of movie locations to visit! To do so, follow Kuamo’o Road from Wailua until Keahua Forest Arboretum. There, the road turns into a dirt track named Waikoko Forest Management Road that will lead you to the Jurassic Park poles. The total trail is about 12.8 km (8 mi). The hiking trail above leading to the filming location of the Jurassic Park gates will also take you to Blue Hole, a beautiful spot located on the Wailua River at the base of mount Wai'ale'ale. Be careful: although it's a highly recommended hike, it's also a difficult one with a lot of rocky passages. This is where the T. Rex paddock scenes were filmed in Jurassic Park. 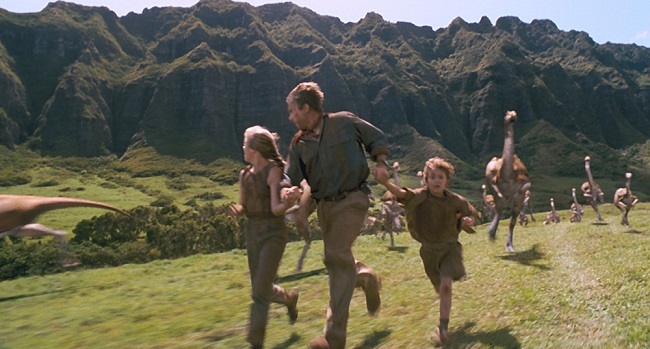 The scenes where Gallimimuses are mercilessly chased by the T. Rex through beautiful green pastures were filmed at the Kualoa Ranch in the Ka’a’awa Valley on Oahu. 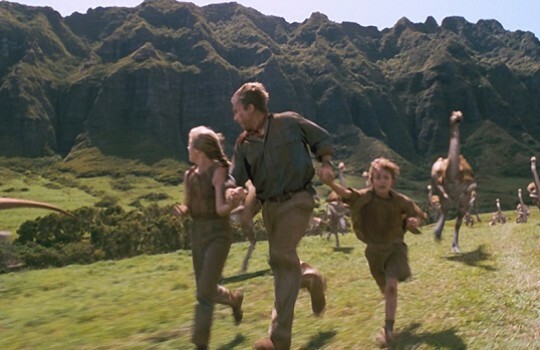 Amazingly, the fallen tree under which Grant and the kids take shelter is still there and can be seen if you take a tour at the Kualoa Ranch. 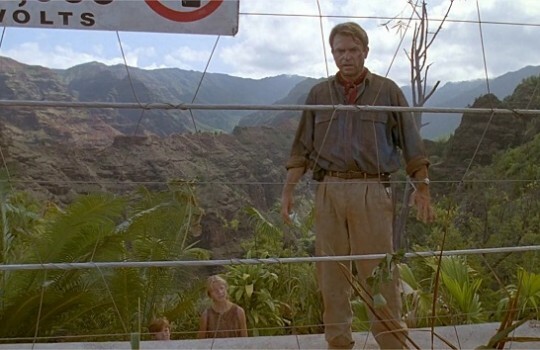 Dr. Alan Grant: Hammond, after some consideration, I've decided, not to endorse your park. 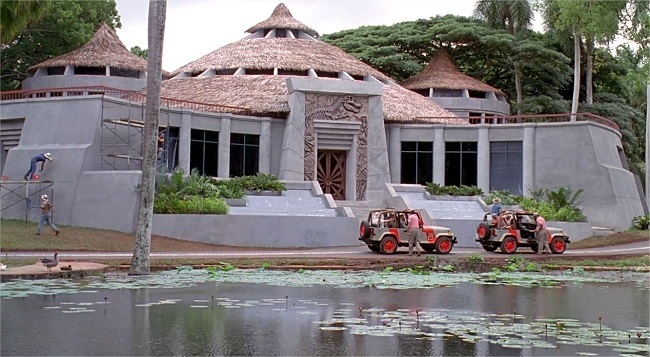 The thrilling scenes where Ellie tries to restore power on the island and hunter Robert Muldoon (Bob Peck) becomes the hunted were filmed in Allerton Garden in Koloa on Kauai. 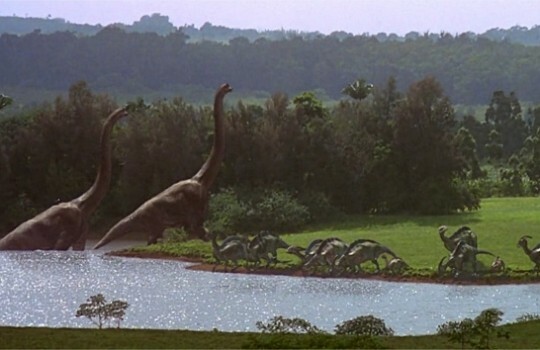 Allerton Garden was also used as filming location for the scene where Dr. Grant discovers that dinosaurs are actually able to breed when he uncovers hatched velociraptor eggs. The electrified fence that Grant and the kids must climb before Ellie turns the power back on in a nerve-wrecking scene was erected in Olokele Valley on Kauai near Waimea.